I had the privilege of meeting pastor Qin back in 2004. He was a gracious and Godly man. PENGLAI, China (BP)--A Chinese pastor and his wife were slain Aug. 31 at Penglai Christian Church, where Lottie Moon, an icon of Southern Baptist mission work, served in the early 1900s in Penglai, China. Pastor Qin Jia Ye and his wife Hong En He, both in their 80s, were killed in the church's office on Wednesday. The suspect -- a 40-year-old former church member -- was arrested within an hour of the early morning incident. The couple's violent death is a shock to many, both in China and the United States. The church was closed for 49 years after communists came to power at the end of World War II, reopening in 1988 with only 20 people. The church eventually outgrew Moon's original structure and built a modern 1,500-seat sanctuary next to it with the help of Johnson Ferry Baptist Church in Marietta, Ga.
"From the moment I met Pastor Qin, I could sense a Christ-like spirit," said Bryant Wright, Johnson Ferry senior pastor and current Southern Baptist Convention president. "We are incredibly saddened by this tragic event, but we know one of the Lord's faithful servants is with Him forever in Heaven." 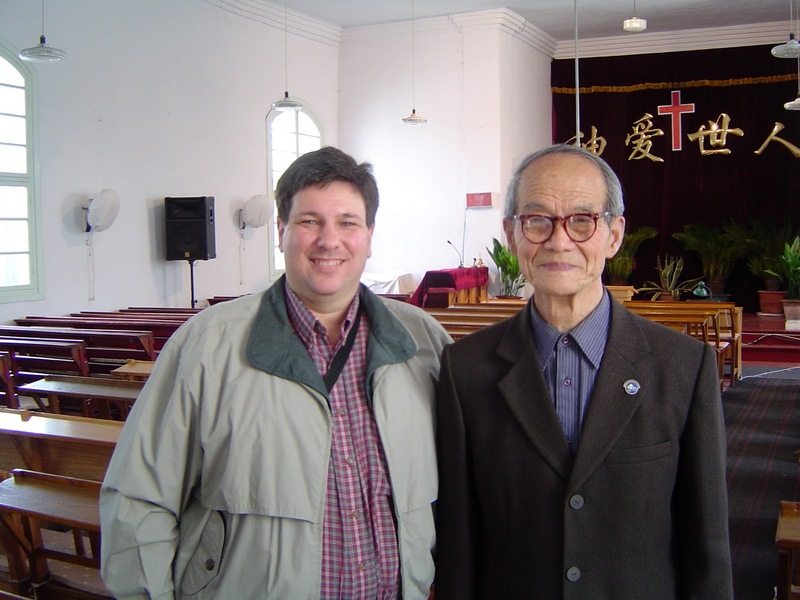 Wanda S. Lee, executive director-treasurer of Woman's Missionary Union, visited the church during a 1997 China tour. In spite of numerous church responsibilities, Qin and his wife welcomed the group warmly, Lee said, and it was obvious they were well-loved and respected. McIntosh remembers admiring Qin's humble and quiet strength as he prepared for worship, as well as his ability to state the message clearly for all to understand. After the service, Qin spent a great deal of time talking with the team of young women about Moon's legacy. "He was so encouraged that younger women were there, learning about the history of Lottie Moon and the Chinese church," McIntosh recalled. "I know the legacy of Lottie Moon will live on, but one of its greatest communicators is no longer with us. I know Qin's legacy will live on, too."